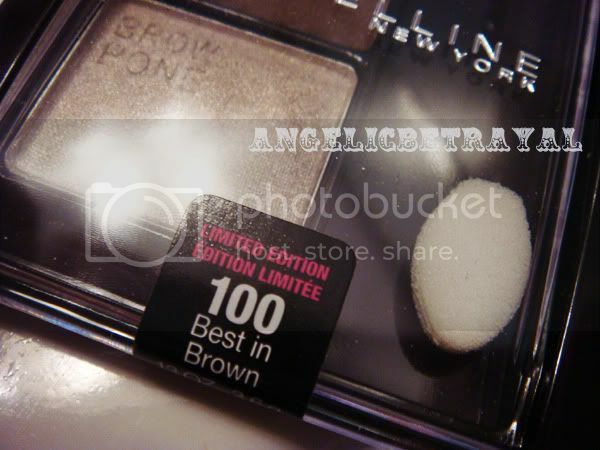 This is my latest expertwear eyeshadow from Maybelline which I just acquired two days ago and I'm IN LOVE :D This trio, Best in Brown, came out with the recent Fall Fashion Week 2010 collection along with two other trios, Charming Cobalt and Glamorous Grays. This one appealed to me the most as I love neutrals and browns and the browbone shade looked like an amazing light taupe shade. This trio retails for $5.30 at Rite Aid but Maybelline cosmetics are 40% off this week and I had a $1 manufacturer's coupon. Looking at my receipt I just realized that the cashier made a mistake and took 50% off so I only paid $1.65 for this :) I love it when the employees make mistakes! 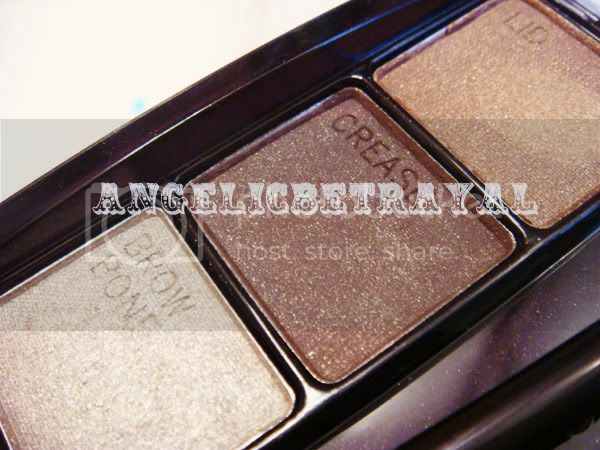 The size of each of the shades is the same as the pans in the quads, 1.2 grams of each color, which is a decent amount. Although I was most excited about the last shade, it was the least smooth out of the three but still pretty for an inner corner highlight. 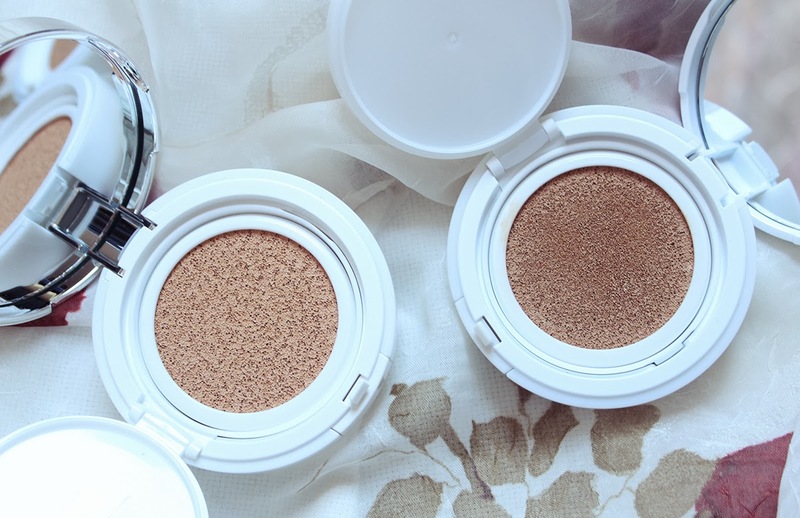 The first lid shade is GORGEOUS, smooth to an almost creamy texture, and pigmented. Same goes for the crease shade. 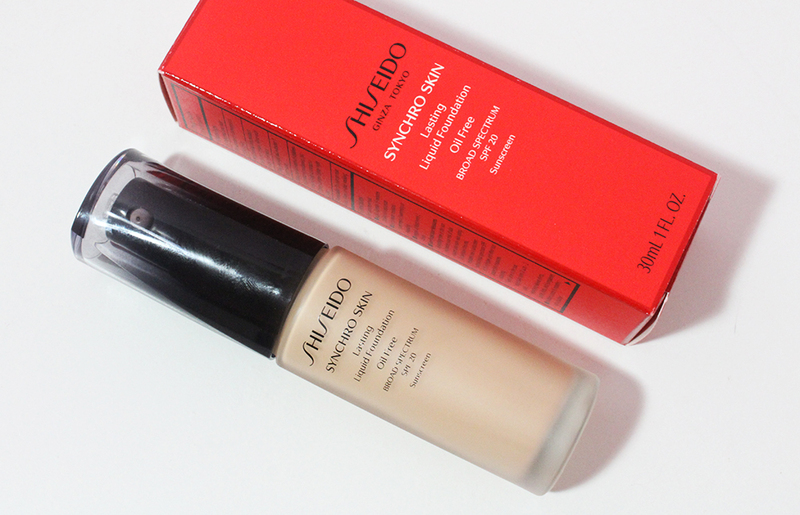 This trio really surpassed my expectations as I haven't tried Maybelline's trios before. 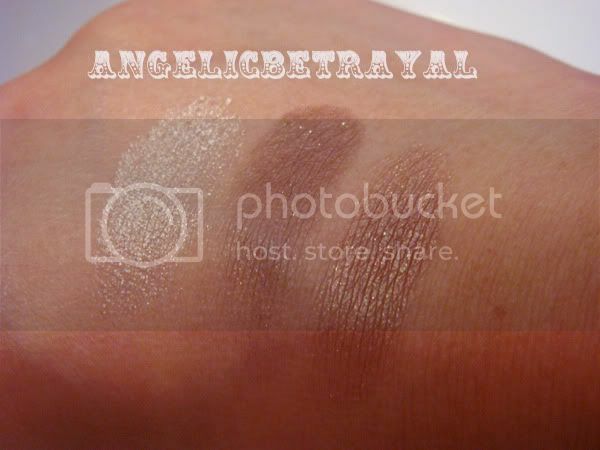 This is another winner in my book and I created the most subtle smokey eye with this palette the day I got it :) The swatch below is on bare skin so imagine how much more beautiful it would look with a primer or base!